After the Wigtown Book Festival in Scotland and a family reunion dinner, I got a ride with a local woman from Wigtown who trafficked me into Ireland in her car, which we'd park on a ferry traveling across the sea to Belfast. After a little hitchhiking, I wound up in Londonderry, Northern Ireland, which many of the locals with anti-British sentiments call "Derry." Derry was the site of "Bloody Sunday," when, in 1972, thirteen civil rights protesters were murdered by the British military. There's an excellent movie about the massacre (Bloody Sunday), and while we're on the subject of the "The Troubles" represented in cinema, you can't go wrong with Hunger directed by Steve McQueen and The Crying Game by Neil Jordan. The people of Derry have painted murals of Bloody Sunday on the sides of the buildings. I took a bus down to the Cliffs of Moher on the west coast in County Clare. When I arrived in Annascaul, Ireland after a long walk on the Dingle Way, I went to the South Pole Inn to grab a fish dinner. A violently affectionate "stag party" (the Irish version of a bachelor party) was loudly drinking and would soon place two giant pints of Heineken on my table, making me the party's American mascot. They urged me to drink the two pints with them, and then made me stand up and read off all fifty American states. I insisted to the guy keeping track that he forgot to make three tallies, as I was sure I hit all fifty, but the next morning I realized I forgot to mention Utah, Nevada, and Michigan. They bought me two more bottles of Heineken and then offered a third pint, but I was already thoroughly soused, and I was only another drink or two away from being whisked away off to Killarney, where they were threatening to take me on their pub tour across the southwest. I was able to slip out, but, again, I was thoroughly drunk, and I completely missed my turn back onto the Dingle Way. So now I was aimlessly walking up the steep, winding, no-shoulder N86 highway. Every time a car sped past I had to shove myself into blackberry thickets. It was getting dark, the hills were rolling and tent-unfriendly, and the trail was out of sight, so I randomly knocked on a door, still thoroughly drunk, and struggled to explain my quandary to an Irishwoman who I struggled to understand. The man of the house came to the door and motioned that I set up my tent by the cow's milking hut on their property. Afterward, they invited me in, and they seemed amused with my story and my inebriation, and I was able to sober up with the help of some apple and rhubarb pie. It's good to see a new post from you, Ken. I had been wondering what you've been up to. I figured you'd already flown back to the States and were staying at David's farm again. But so many questions are left unanswered . . .
Kilometers walked? Timeline? Map of travels? Current location? Future plans? Scott--Indeed it's been a while. I came back to the U.S. from Ireland in October, had a small speaking tour over here, and settled into the old N.C. farm, where I am now. Really, I just didn't feel like blogging, so I suppose I've taken a break, which I may continue to do. I've been researching/writing my second book and living a mostly ordinary life, so, honestly, there just hasn't been that much to share. But thanks for taking an interest. I agree - it is great to see a post from you. Isn't Ireland spectacular! I have been there twice now - my grandparents are both from there, and I have been able to visit family on both trips. Very very cool. Another good movie about the 'Troubles' is called 'The wind that shakes the barley'. it is set in the early 1900s, and highlights Ireland's short-lived civil war, which followed independence. My great uncle was involved in that portion of the troubles, as a republican, way back then. I'm sure David and "the girls" are happy to have you back at the farm. I am curious how that log of mushroom plugs turned out and if more snakes have found their way into the Jeep, but most of all, I'd like to know the subject of your next book. The XL Pipeline? American hospitality/generosity? If you're considering a third book project already, maybe the subject of Bill Bryson's A Walk in the Woods could use an updated treatment by a serious walker. Your vandwelling memoir had just the kind of wit a Bryson update needs, and Cheryl Strayed's Wild movie adaptation should whet appetites for all things hiking. Trish--Thanks for the movie recommendation. Haven't seen that one yet. Scott-- the mushroom logs were a complete failure, sadly. Part of the problem was that I put half the plugs in in the summer when you're supposed to do it in winter, when the trees are better hydrated. Also, it's recommended that you water the logs when they're dry, and we just don't have access to a good water source where I put them. Indeed, my book is exactly what you're talking about: a slightly more serious (but still embarrassingly self-deprecating) long-distance hike, though not on an established trail. 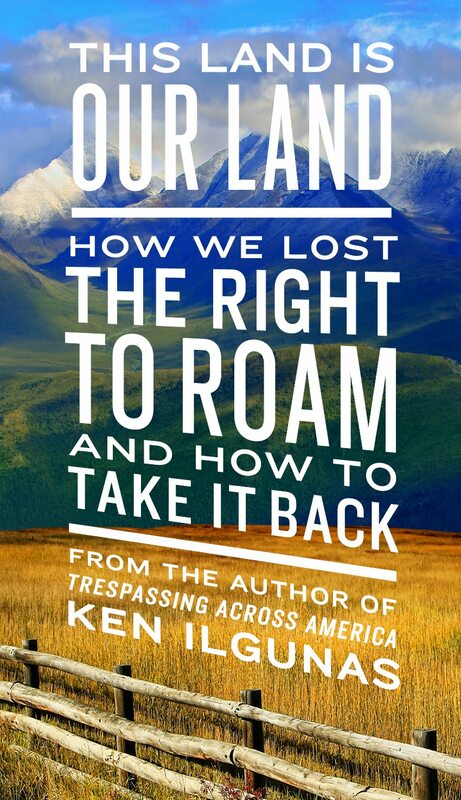 It's more a Great Plains travel memoir than a Keystone XL diatribe. I just read A Walk in the Woods, and admired it for its wit, but mostly for its research. Did you know they're making a film adaptation for that too? (Starring Robert Redford.) 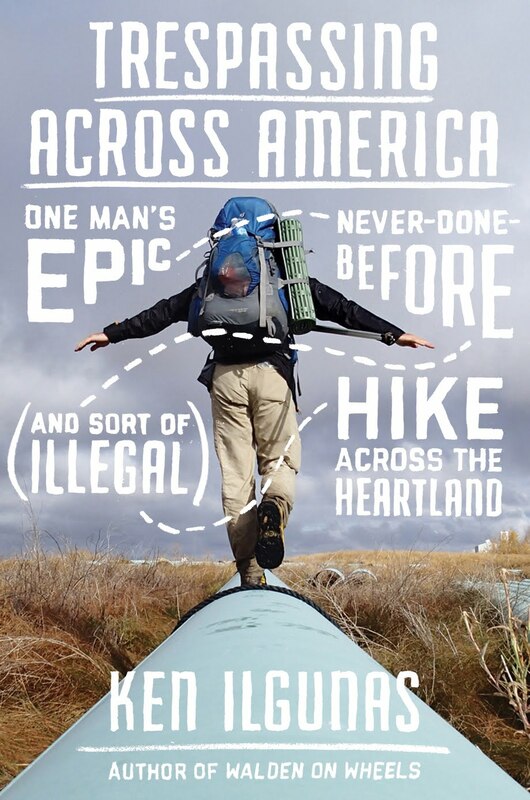 Indeed, with the movies thru-hiking will become a bit more mainstream, which I think is a great thing. Too bad about the mushrooms. Kudos for trying though. It expanded the food variety I considered possible on a farm. A Walk in the Woods movie is news to me. 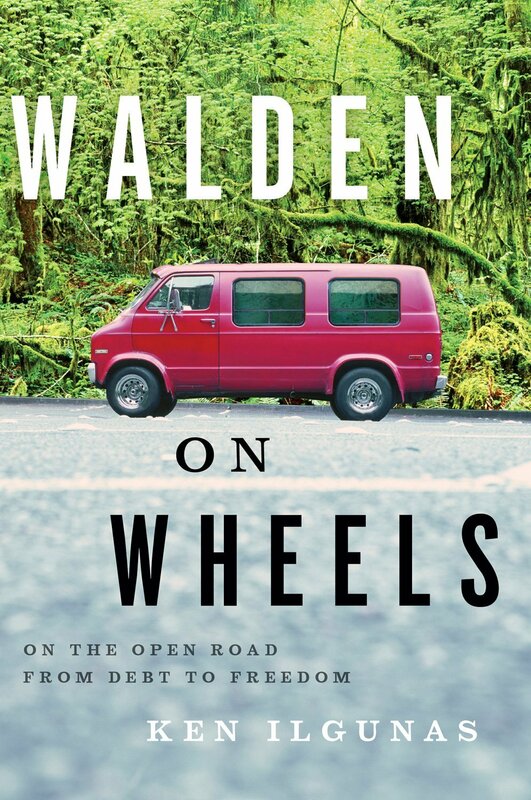 I hope Walden on Wheels gets that treatment someday. Both are deserving of it. Although, Bryson edged you out with the best dedication page in recent memory. His treatment of the AT is surely a good model to emulate for the Midwest. The flyover states have so much more to offer than soil and fundamentalist antics. And I'm looking forward to your treatment of Oklahoma. I imagine there won't be any book tour stops there.